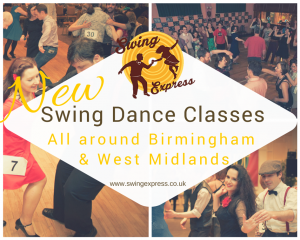 Swing Express brings the exciting world of vintage era dancing to Birmingham and the West Midlands. We are excited to start teaching our new swing dance classes at the end of April. Our classes are fun, friendly and a great way to make new friends. When we visited for the first time we really didn’t know what to expect. Maybe it’s because we’re so used to the barren, romantic landscapes of the west of Ireland, or because of our time spent hiding out in our beautiful little town of Galway. But Birmingham, you wowed us, and we can’t wait to join you. The Bullring, well duh! Yeah, it’s pretty mind-blowing. But you also have an ENTIRE WORLD dedicated to chocolate. You have cool little cafes down Moseley way and in the Jewellery Quarter. You have canals. Really delightful canals. And you have the NEC (Sarah can’t wait to go to Crufts.). We love teaching Lindy Hop. The Charleston is my personal fave, but we love it all. Beginner classes are so much fun. They constantly remind me of why I love teaching, and also of how I felt when I first started dancing many, many years ago. Just the sheer joy, the delight on people’s faces, and the laughter. Laughter when mistakes are made and the craziness that ensues. The camaraderie as together we master this wonderful vintage-era dance style. Our classes start on Monday, April 27th in Harborne, at St Mary’s Church function room on Vivian Rd. We continue Tuesday, April 28th in Coventry (we love you too Coventry, your lovely little town centre reminds us of home) at the Biggin Hotel Hall at 214 Binley Rd, and Wednesday April 29th in Sutton Coldfield at St James Church Centre at 61 Meere Rd. We will bring to you our passion for swing. Our love of Lindy Hop. We will teach you, and you will discover a whole new world you never knew existed. Wow. Birmingham – We can’t wait to to dance with you. Can’t find a class close to you? 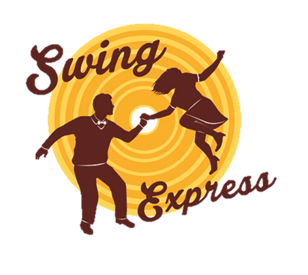 You can contact us if you know of a venue you would like Swing Express to come to! We are adding classes all the time.